The rand takes its name from the Witwatersrand (literally "white waters' ridge" in English), the ridge upon which Johannesburg is built and where most of South Africa's gold deposits were found. 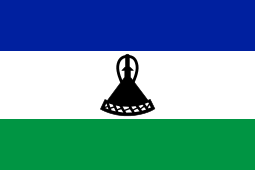 The cent was introduced in the then Union of South Africa on 14 February 1961, three months before the Republic of South Africa was established. A Decimal Coinage Commission had been set up in 1956 to consider a move away from the denominations of pounds, shillings, and pence, submitting its recommendation on 8 August 1958. It replaced the South African pound as legal tender, at the rate of 2 rand to 1 pound, or 10 shillings to the rand. The government introduced a mascot, Decimal Dan, "the rand-cent man" (known in Afrikaans as Dan Desimaal). This was accompanied by a radio jingle, to inform the public about the new currency. 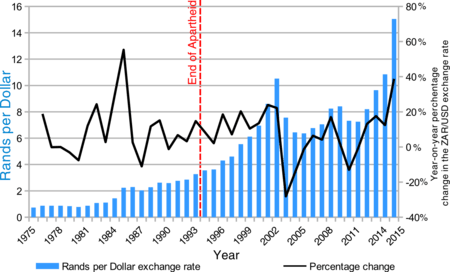 Value of the South African rand to the United States dollar from 1975 to 2015 by the blue columns: The percentage rate of change year-on-year is shown by the black line. A rand was worth US$1.40 from the time of its inception in 1961 until 1982, when mounting political pressure combined with sanctions placed against the country due to apartheid started to erode its value. The currency broke above parity with the dollar for the first time in March 1982, and continued to trade between R 1 and R 1.30 to the dollar until June 1984, when depreciation of the currency gained momentum. By February 1985, it was trading over R 2 per dollar, and in July that year, all foreign exchange trading was suspended for 3 days to try to stop the devaluation. By the time that State President PW Botha made his Rubicon speech on 15 August 1985, it had weakened to R 2.40 per dollar. The currency recovered somewhat between 1986–88, trading near the R 2 level most of the time and even breaking beneath it sporadically. The recovery was short-lived, however, and by the end of 1989, the rand was trading at levels more than R 2.50 per dollar. As it became clear in the early 1990s that the country was destined for black majority rule and one reform after the other was announced, uncertainty about the future of the country hastened the depreciation until the level of R 3 to the dollar was breached in November 1992. 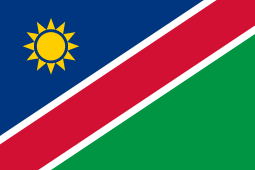 A host of local and international events influenced the currency after that, most notably the 1994 democratic election which had it weaken to over R 3.60 to the dollar, the election of Tito Mboweni as the new governor of the South African Reserve Bank, and the inauguration of President Thabo Mbeki in 1999 which had it quickly slide to over R 6 to the dollar. The controversial land reform program that was kicked off in Zimbabwe, followed by the September 11, 2001 attacks, propelled it to its weakest historical level of R 13.84 to the dollar in December 2001. This downward slide could be attributed to a range of factors: South Africa's worsening current account deficit, which widened to a 36‑year high of 7.3% of gross domestic product (GDP) in 2007; inflation at a five-year high of just under 9%; escalating global risk aversion as investors' concerns over the spreading impact of the subprime crisis grew; and a general flight to "safe havens", away from the perceived risks of emerging markets. The rand depreciation was exacerbated by the Eskom electricity crisis, which arose from the utility being unable to meet the country's rapidly growing energy demands. By the end of 2014, the rand had weakened to R 15.05 per dollar, partly due to South Africa's consistent trade account deficit with the rest of the world. From 9 December 2015 to 13 December 2015, over a four-day period, the rand dropped over 10% due to what some suspected was President Zuma's surprise announcement that he would be replacing the then-Finance Minister Nhlanhla Nene with the little-known David van Rooyen. The rapid drop in value was stemmed when the President back-tracked and announced that the better-known previous Minister of Finance, Pravin Gordhan, would instead be appointed to the post. Zuma's surprise firing of Nene damaged international confidence in the rand, with it experiencing significant exchange volatility throughout much of January 2016, reaching an all-time low of R 17.9169 to the US dollar on the 9 January 2016 before rebounding to R 16.57 later the same day. Coins were introduced in 1961 in denominations of 1⁄2, 1, 2 1⁄2, 5, 10, 20, and 50 cents. In 1965, 2-cent coins replaced the 2 1⁄2-cent coins. The 1⁄2-cent coin was last struck for circulation in 1973. The 2-rand coin was introduced in 1989, followed by 5-rand coins in 1994. Production of the 1- and 2-cent coins was discontinued in 2002, primarily due to inflation having devalued them, but they remain legal tender. Shops normally round the total purchase price of goods to the nearest 5 cents (in favour of the consumer). In an effort to curb counterfeiting, a new 5-rand coin was released in August 2004. Security features introduced on the coin include a bimetal design (similar to the €1 and €2 coins, the Thai 10-baht coin, the British £2 coin, and the Canadian $2 coin), a specially serrated security groove along the rim and microlettering. The first series of rand banknotes was introduced in 1961 in denominations of 1, 2, 10, and 20 rand, with similar designs and colours to the preceding pound notes to ease the transition. They bore the image of what was believed at the time to be Jan van Riebeeck, the first V.O.C. administrator of Cape Town. It was later discovered that the image was not in fact Van Riebeeck at all. Like the last pound notes, they were printed in two variants, one with English written first and the other with Afrikaans written first. This practice was continued in the 1966 series which included the first 5-rand notes, but did not include the 20-rand denomination. The 1978 series began with denominations of 2, 5, and 10 rand, with 20 and 50 rand introduced in 1984. This series hsd a major design change. In addition, the series has only one variant for each denomination of note. Afrikaans was the first language on the 2, 10, and 50 rand, while English was the first language on 5 and 20 rand. The notes bore the image of Jan van Riebeeck. The 1-rand note was replaced by a coin. 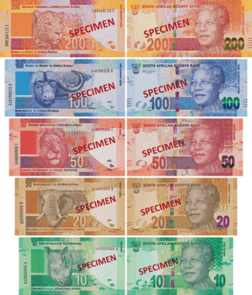 In the 1990s, the notes were redesigned with images of the Big Five wildlife species; 10-, 20- and 50-rand notes were introduced in 1992, retaining the colour scheme of the previous issue. Coins were introduced for 2 rand and 5 rand, replacing the notes of the previous series, mainly because of the severe wear and tear experienced with low-denomination notes in circulation. In 1994, notes were introduced for 100 and 200 rand. The 2005 series has the same principal design, but with additional security features such as colour-shifting ink on the 50-rand and higher and the EURion constellation. 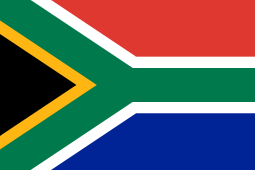 The obverses of all denominations are printed in English, while two other languages are printed on the reverses, thus making use of all 11 official languages of South Africa. In 2010, the South African Reserve Bank and commercial banks withdrew all 1994 series R 200 banknotes due to relatively high-quality counterfeit notes in circulation. In 2011, the South African Reserve Bank issued 100-rand banknotes which were defective because they lacked fluorescent printing visible under UV light. In June, printing of this denomination was moved from the South African Bank Note Company to Crane Currency’s Swedish division (Tumba Bruk), which reportedly produced 80 million 100-rand notes. The South African Reserve Bank shredded 3.6 million 100-rand banknotes printed by Crane Currency because they had the same serial numbers as a batch printed by the South African Bank Note Company. In addition, the notes printed in Sweden were not the correct colour, and they were 1 mm short. ↑ "From Van Riebeeck to Madiba". News24. 2012-09-12. ↑ "The Reserve Bank and the Rand: Some historic reflections". Resbank.co.za. 29 November 2001. Retrieved 2012-09-05. ↑ "'Decimal Dan' Sings: Catchy Tune Teaches New Currency". The Spokesman-Review. 10 January 1961. Retrieved 2012-09-05. ↑ "Exchange Rates Between the United States dollar and South African rand". Measuring Worth. Retrieved 12 January 2016. ↑ Paul Vecchiatto Michael Cohen (11 January 2016). "Zuma Begins Fightback as South Africa's Rand Gets Hammered". Bloomberg. Retrieved 13 January 2016. ↑ Patrick McGroarty & Joe Parkinson (11 January 2016). "Africa Hit by China's Woes". Wall Street Journal. Retrieved 13 January 2016. ↑ Candice Zachariahs (11 January 2016). "Why the rand will face more manic Mondays after plunging 9%". Fin24. Retrieved 13 January 2016. ↑ Candice Zachariahs (11 January 2016). "Rand sinks most in 7 years as traders fret over China, liquidity". Fin24. Retrieved 13 January 2016. 1 2 "Rand slumps more than 8% against dollar | IOL". Retrieved 2016-06-25. ↑ "Brexit vote shocker sends global markets into tailspin". Retrieved 2016-06-25. ↑ Kuo, Lily. "Brexit will be terrible for Africa's largest economies". Retrieved 2016-06-25. ↑ "One Cent (1c)". South African Mint. Retrieved 28 November 2012. ↑ "Two Cent (2c)". South African Mint. Retrieved 28 November 2012. ↑ "South African currency". South African Reserve Bank. Retrieved 28 November 2012. ↑ "South Africa's new R5 coin". SouthAfrica.info. 28 July 2004. ↑ "So whose face was on old SA money?". IOL. 8 January 2015. 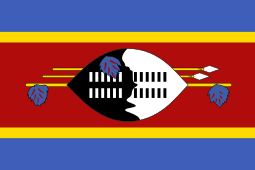 ↑ "Statement issued by the SARB Governor, Ms G Marcus on counterfeit notes in circulation". South African Reserve Bank. 21 April 2010. Retrieved 2010-05-25. ↑ "South Africa faulty 100-rand notes reported | Africa". BanknoteNews.com. 2010-12-05. Retrieved 2012-09-05. ↑ "South Africa shreds 3.6 million defective 100-rand notes | Africa". BanknoteNews.com. 2012-05-20. Retrieved 2012-09-05. ↑ "Nelson Mandela banknotes to be issued by South Africa". BBC. 11 February 2012. Retrieved 11 February 2012. ↑ "Announcement of the Introduction of a New Note Series". Resbank.co.za. Retrieved 2012-07-07. ↑ "Nelson Mandela banknotes issued in South Africa". BBC Online. ↑ "South Africa new banknotes with Omron rings reported". BankNote News. 6 November 2013. Retrieved 6 November 2013. 1 2 "South African Rand". Retrieved 2012-11-19. ↑ "Banknotes". Where's My Moola. Retrieved 2012-11-19.